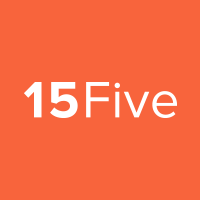 It's time to write your first 15Five! Your role as a reporter (i.e. a person who submits a 15Five) is very important in maintaining healthy, open communication within your company. The 15Five check-in not only gives you an opportunity to outline your priorities and keep track of progress, but also allows you to share feedback directly with your reviewer (i.e. manager). Here are some guiding principles for you to keep in mind when filling out your check-in. These tips will help you get the most value out of using your check-ins and make writing 15Fives more effective, less time consuming, and more gratifying...it's a win-win-win! Note events as they occur 📆 It's hard to stare at a blank report and fill in everything you have done in a work week. By the time the end of the week comes you might forget what you've done, or be too exhausted to elaborate. 15Five saves your drafts so that you can easily note events as they occur. Mention big issues 📝 Don't let issues fester- use your check-in to discuss them with your manager early and offer solutions! If you have an idea that could help increase efficiency, or a suggestion for a process change- now is the time to bring it up. Your leadership can't help you if they don't know a problem exists. Collaborate with your team 👩‍💻 @mentions are a great way to bring your coworkers into the conversation. If a question pops up while you're filling up your 15Five that you think a colleague might know the answer to, or if you worked on a project with a team member and you want to acknowledge their help, @mention them and they'll receive a notification. Suggest new questions 🤔 Not feeling engaged? Want to change things up a bit? Share your thoughts on how to make the reporting process more engaging for you and your team! You can do this by creating a list of questions and sharing them with your manager. You never know- they might take inspiration from your feedback, and one or two of your questions might show up on your next 15Five. Give someone a High Five 🖐 Our High Fives feature is a recognition tool built in to 15Five that allows you to show appreciation to your coworkers. Science shows that recognition increases the likelihood for collaboration and support between employees- so don't let awesome deeds go unseen! Success Center Article 🗒: How do I write and submit my 15Five?